In the late 50's a group of true dedicated Jazz musicians played the bars and clubs around Detroit, they were known as the Joe Hunter Band, led by Mr. Joe Hunter on piano. The Joe Hunter band show-cased Berry's work around Detroit. This built the foundations of what came to be called "the Motown Sound". So the first Tamla "the Motown Sound" tracks were all backed by the Joe Hunter Band. Left Photo: From left to right- Benny Benjamin - drums, James Jamerson - bass, Joe Hunter - keyboards, Larry Veeder - guitar, Hank Cosby Saxophone and Mike Terry - baritone sax, 1959. Right Photo: From left to right - Robert White Guitar, Hank Cosby Sax, Earl Van Dyke Keyboards, Uriel Jones Drums and James Jamerson Bass Guitar, '61. Motown's Studio Band The Funk Brothers were the greatest hit machine in the history of popular music. They played on more #1 records than the Beatles, the Beach Boys, the Rolling Stones and Elvis Presley combined! Joe Hunter - Motown's first bandleader, Joe left Hank Ballard and the Midnighters to join Berry Gordy's fledgling recording operation in 1958. A self-described "boogie-woogie" piano player, Joe's keyboard style set the "down home," rootsy feel on most of the company's early twist, doo-wop, and blues influenced recordings. 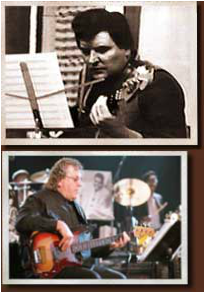 During this period of musical simplicity and small orchestrations, Joe's arranging talents often came into play during the recording sessions. musicians take the song thirty-two times. 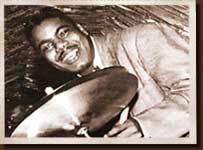 In 1963 Joe Hunter moved on from Motown, he was replaced by the great Earl Van Dyke. Joe's influence nevertheless continued to resound throughout Motown's Detroit era in the musical tone he set, and in the cornerstone musicians he helped Berry Gordy recruit during the label's early days. The recordings were all done in a smoky, dimly lit basement type room, originally a garage with carpets hung on the walls, they affectionately dubbed "The Snakepit." at Hitsville, West Grand Blvd. in Detroit. Currently in his mid-'70s, Joe still performs on a full-time basis throughout the Detroit metropolitan area. Greatest Performances: "Heat Wave," Pride And Joy," "Come And Get These Memories"
Earl Van Dyke - A veteran of the late '50s and early '60s Chitlin' Circuit, Earl migrated to Motown in late 1962 after having toured with Aretha Franklin and Lloyd ("Mr. Personality") Price. Within no time, the musical sophistication and aggressive keyboard style he brought with him made Earl an integral part of "The Motown Sound." Hitsville's Steinway often had to be reconditioned after Earl played on a session because of the passion and force with which he attacked the keys. Arrangers and producers looked upon him as a hub through which they could convey their ideas to Hitsville's studio musicians. Motown's management viewed him as the unofficial bandleader because - apart from his talent as a keyboardist - he always knew where to find the Funk Brothers and get them into the studio. This was no small feat when trying to control James Jamerson, Benny Benjamin and some of the Funk Brothers' other more "colorful" personalities. When Motown's "Golden Era" ended in Detroit, Earl hooked up with Freda ("Band Of Gold") Payne and toured the world with her throughout the remaining years of the 1970s before returning home to teach music in the Detroit public school system. 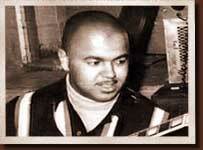 Greatest Performances: "Ain't Too Proud To Beg," "My Guy," "For Once In My Life"
Johnny Griffith - One of the few classically trained musicians in the Funk Brothers ranks, Johnny was Hitsville's "hired gun," having never signed the exclusive recording contract under which most of Motown's rhythm section musicians worked. Originally lured into the company in 1961 hoping to record jazz, Johnny often moonlighted on hits for other R&B record labels around Detroit and in Chicago. While he did get the opportunity to record two albums on Motown's "Workshop Jazz" label, his true value down in "Studio "A" was in the delicate touch with which he played that so perfectly complimented Earl Van Dyke's "gorilla piano" style. This two keyboard approach had Earl and Johnny spending the next decade trading off on acoustic piano, Hammond organ, and Wurlitzer electric piano. To this day, in spite of all the R&B hits Johnny played on, he still considers himself, first and foremost, a jazz musician. Eddie Willis - Detroit may have been a northern city but the Motown Sound had a lot of the South in it. One of the principal reasons was the Mississippi funk that Eddie Willis brought to Studio "A." 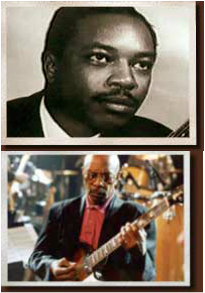 After playing guitar in Marv Johnson's band (Motown's first star and the singer of "Come To Me"), Eddie became an integral part of the label's recording operation in 1959. Unlike most of the Funk Brothers who were jazz musicians, Eddie came from more of a country and blues background. His principal duty in the guitar triumvirate of Messina, White, and Willis was to add the spontaneous funky fills and rhythms that played off of the more foundation oriented parts the other two guitarists were usually laying down. Eddie was also a more active road musician than most of the Funk Brothers, touring with the Marvelettes during Motown's early days and later spending almost two decades playing throughout the world with the Four Tops following the label's 1972 departure from Detroit. While Eddie actively recorded at Hitsville until the operation closed down, a lot of his most prolific work was on the early Mary Wells and Marvelettes sessions. 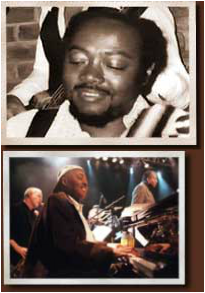 Greatest Performances: "I Was Made To Love Her," "The Way You Do The Things You Do," "Friendship Train"
Robert White - One of the more serious-minded and deep thinkers amongst the members of the Funk Brothers, Robert is often referred to by his fellow Hitsville musicians as "the glue that held everything together." What they're referring to is the fat, relaxed guitar strums he played that were the meeting point for all the inter-twined parts everyone else was laying down. Robert was also called upon any time the producers and arrangers needed a very distinct melody to be played on guitar, because he picked his instrument with a long thumbnail that gave all his lines a very unique and instantly recognizable tone. Arriving in Detroit in 1960 when the doo-wop group the Moonglows (for whom he was playing bass) ended a tour, Robert began working for Motown and quickly became a favorite of the producers and arrangers. 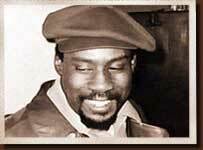 Like Uriel Jones, he teamed up with Earl Van Dyke and became a fixture on Detroit's nightly club scene. Always in search of some higher meaning for his life, Robert moved to Los Angeles in the mid-'70s hoping to continue his musical career and continue his spiritual quest. While he never again reached the musical heights he had enjoyed back in Detroit, he found what he was looking for in his personal life through Eckankar (The Religion of The Light And Sound Of God). Greatest Performances: "My Girl," "My Cherie Amour," "You Keep Me Hanging On"
Joe Messina - One of the signature musical elements that set Motown apart from all the other recordings that rode the radio waves in the 1960's was the razor-sharp guitar backbeats heard on almost every recording they released. That role was played flawlessly by Joe Messina, a local Detroit jazz guitarist with a sense of time that could be used to set the world clock in Greenwich, England. Earl Van Dyke insisted that "Joe never blew a backbeat on one session during the entire fourteen years he was at Motown." 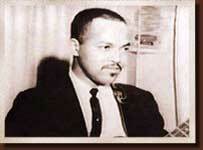 He also had the challenging role of doubling James Jamerson's bass lines on numerous recordings. 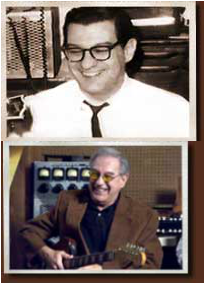 Joe arrived at Motown in 1959 and came back to it four decades later by very circuitous routes. Playing mostly Italian music in his teens, the lure of jazz was overpowering and by his mid twenties, he had landed a gig on the nationally televised Soupy Sales Show. That afforded him the opportunity of playing with John Coltrane, Charlie Parker, Miles Davis and all of his other jazz heroes who were guest artists on the show. Because of his growing reputation around town, Berry Gordy recruited him. When Motown moved to the West Coast in 1972, Joe put down his guitar for almost thirty years, but he quickly got his chops back in late 2000 to play on Standing In The Shadows Of Motown. Instruments Played: Gibson L-5 (in the early days only), an early '60s Fender Telecaster with a Jazzmaster neck strung with heavy flatwound strings. Greatest Performances: "Your Precious Love.," "Dancing In The Street," "I Can't Help Myself"
James Jamerson - Motown's tormented genius, James Jamerson is unanimously acclaimed as the first virtuoso of the electric bass. Plagued by alcoholism and emotional problems throughout his career, James has influenced (whether they know it or not) every electric bassist to ever pick up the instrument. Arriving at Motown in 1959, James' bass playing evolved over the next decade from a traditional root-fifth cocktail style of bass playing into an astonishing new style built upon a flurry of sixteenth-note runs and syncopations, "pushing the envelope" dissonances, and fearless and constant exploration. A converted upright bass player with bear claw hands, James plucked the strings with only the index finger of his right hand (which he dubbed "The Hook), and effortlessly and routinely pulled off head-turning, technical feats on the '62 P-Bass he nicknamed "The Funk Machine." His explosive, earthquake-heavy bass lines have had the entire world dancing and grooving to Motown records for over four decades. But he labored in total obscurity - a condition that ate at him throughout the last years of his life. Recognition finally came on March 6, 2000 when James Jamerson was inducted posthumously into the Rock & Roll Hall Of Fame. Recognition finally came on March 6, 2000 when James Jamerson was inducted posthumously into the Rock & Roll Hall Of Fame. Greatest Performances: "Bernadette," "I Was Made To Love Her," "Home Cookin'"
Bob Babbitt - Stepping into the shoes of a legend is an impossible burden to handle but Bob Babbitt was tough enough to be able to work in James Jamerson's shadow and still assert his own identity on some of Motown's biggest hits. After freelancing around Detroit in the mid-'60s, Bob joined Stevie Wonder's band in 1966 and eventually was brought into the studio in 1967. The overwhelming workload in the wake of Motown's phenomenal success combined with James Jamerson's increasing health problems necessitated bringing in a second bassist. Instantly accepted into the Funk Brothers' family atmosphere, Bob had a very busy six year run at Hitsville particularly with Motown producer Norman Whitfield. The shining moment in Bob's career came in 1970 when he worked with Marvin Gaye on some of the tracks from his epic "What's Going On" album. After Motown's exodus from Detroit in 1972, Bob's busy studio career continued in New York, Philadelphia, and in Nashville where he currently resides. Greatest Performances: "Mercy Mercy Me," "Signed, Sealed, Delivered," "War"
William "Benny" Benjamin - The creator of the Motown drumbeat and the most beloved musician at Hitsville, Benny was Motown's first drummer, working with Berry Gordy in 1958. Known for his deft brushwork, latin-influenced grooves, and his explosive drum fills and pickups, Benny's signature drum style defined the Motown groove. 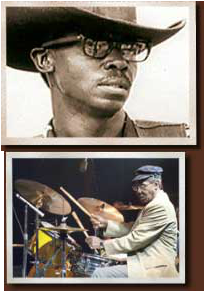 Coming out of a big band-jazz background, Benny's beats swung much harder than any of the other R&B and Blues drummers residing in Detroit at the time, and his time was impeccable. But the same couldn't be said for his promptness. Benny's excuses for often being late to Hitsville's recording sessions are legendary - including one where he claimed to have been sitting on his mother's step with his ex-old lady's boyfriend when someone pulled up in a car and shot him. He further endeared himself to his fellow Motown musicians when - right in front some European distributors Berry Gordy was trying to impress with his new operation - he asked the boss if he could "bum a fin." "The Fuehrer," as Benny referred to him, was not pleased. A lifelong heroin user and alcoholic, Benny's demons eventually caught up with him in 1968 when the ravages of his addictions stilled his drumsticks. Noted Detroit bassist Ralphe Armstrong once related how he was playing a gig at a local jazz club when Pistol Allen (wearing only pajamas, a robe, and slippers) busted through the doors of the establishment, threw the drummer off his set, and counted off "Cherokee" at a breakneck tempo: "Man, we were all huffin' and puffin' trying to keep up with him for about ten choruses of the tune and then he just cuts the band, jumps off the stage and runs home," recalled Ralphe. "This fool was probably just sittin' in front of his TV and said to himself, 'I feel like playing,.' So he drives halfway across town, gets it out of his system, and then runs back to the TV. You see, this cat just burns with music." Recruited into Motown in 1962 by his mentor, Benny Benjamin, Pistol quickly learned he had to adapt his jazz drum style to the music being created down in the Snakepit. Pistol recalls, "Benny advised me, 'Jazz don't work down there. They want it straight with 8th notes and a big backbeat. Just play mm-mm-da, mm-mm-da and keep your mouth shut.'" Pistol listened well. The result was a new Motown drum style that featured a sledgehammer backbeat with a heavy hi-hat that gave the producers a nice variation to what Uriel Jones and Benny were doing. The master of the Beale Street shuffle and the Motown "four on the floor" groove (a snare drum hit on every beat), Pistol was the drummer on most of Holland-Dozier-Holland's hit productions of the '60s. Greatest Performances: "Heat Wave," "Baby Love," "How Sweet It Is"
Uriel Jones - After touring with Marvin Gaye and various Motown road shows in the early '60s, Uriel became a Hitsville session player in 1964. 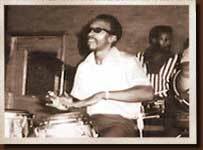 Originally expected to be a Benny Benjamin clone (which he mastered as much as any human possibly could), Uriel quickly showed Motown's producers and arrangers that he had something else to offer: he rocked harder than any of the other drummers in the building. Motown arranger Paul Riser explains, "Uriel's drum sound was the most open and laid back and he was the funkiest of the three guys we had. He had a mixed feel and did a lot of different things well." Uriel was an indispensable component of producer Norman Whitfield's "psychedelic soul" recordings with the Temptations, and Ashford and Simpson's Marvin Gaye-Tammi Terrell duets were all fueled by his slammin' drum grooves. 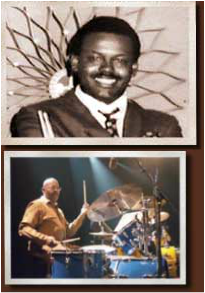 Joined at the hip with Earl Van Dyke for the next three decades, Uriel was the main drummer when the Funk Brothers performed at the Chit Chat club, the Twenty Grand, and the other venues they frequented during Detroit's booming nightlife scene of the '60s. Jack Ashford - Upon hearing the early Motown records that invaded England in the '60s, EMI Records' president Sir Joseph Blackwood remarked they would never make it because the tambourine was mixed too hot.. 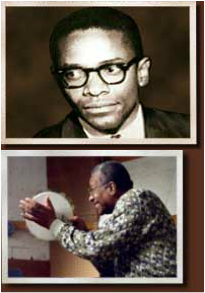 But Sir Berry Gordy of Motown Records knew something that Sir Joseph didn't: Jack Ashford was not just any old tambourine player - he was a tambourine virtuoso. Just talk to any percussionist about "the cat that played tambourine at Motown" and watch them become enraptured. But his first love was vibes, and his playing caught the eye of Marvin Gaye when he saw Jack playing with an organ trio in Boston. Coming to Motown at Marvin's request in 1963, Jack went on to become their most prolific percussionist, playing more than a dozen traditional percussion instrument as well as a few "off the beaten track" instruments like knee slaps, foot stomps, and his own invention, the "hotel sheet." A particular favorite of Marvin Gaye and Norman Whitfield, Jack's imaginative and colorful percussion grooves were one of the principal reasons why these two great artists always seemed to be breaking new ground with every recording they produced. Greatest Performances: "What's Going On," "Ooh Baby Baby," "Where Did Our Love Go"
Eddie "Bongo" Brown - As great a role as Eddie Bongo played musically, he was an irreplaceable element in the Funk Brother's family for one simple reason: In the pressure cooker atmosphere of the Snakepit, they desperately needed a comedian to keep things from boiling over and Eddie was a virtuoso. A master at playing "the dozens," many a session ground to a halt as players doubled over in laughter while Bongo wailed on James Jamerson's mother (his favorite target) or some other unsuspecting victim. Coming into Motown through the back door as Marvin Gaye's valet, Eddie eventually became Hitsville's most prolific conga player gracing many of the label's greatest recordings with his latin and jazz grooves. Like some of the other Funk Brothers, Bongo moved to the West Coast in the mid-'70s hoping to still record for Motown while picking up recording gigs for other labels. But his fate was the same. Bongo found it impossible to regain the magic that he had been a part of in Detroit. Greatest Performances: "Cloud Nine," "What's Going On," "Beauty Is Only Skin Deep"